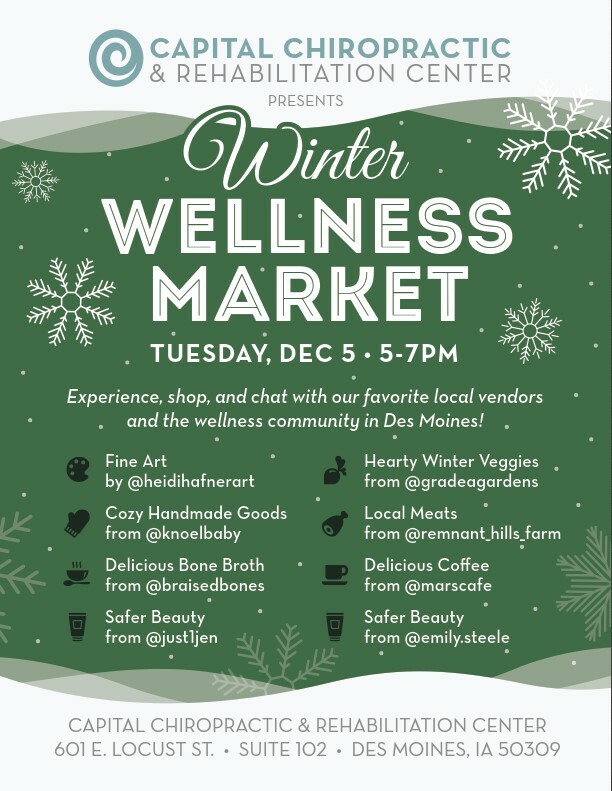 Don’t miss our first ever Winter Wellness Market! 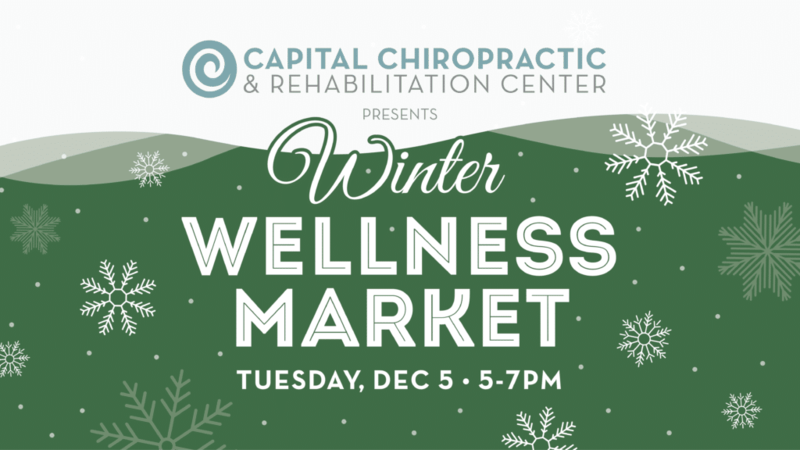 To celebrate the wellness community in Des Moines, Capital Chiropractic has invited several of our favorite local vendors to participate in an evening of casual shopping and serious fun! Experience fine art, shop and chat with local vendors, and enjoy refreshments including coffee from Mars Cafe. RSVP to our event here.